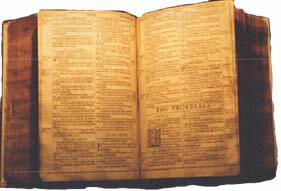 In colonial America, Bibles had to be imported from Britain as the British government strictly regulated the printing of religious materials. It was illegal to print Bibles in the English language without a license from the King. 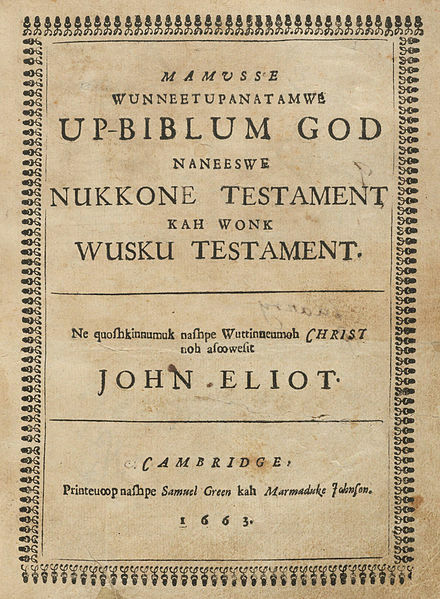 In 1663, Missionary John Elliot printed the first Bible in America at Harvard College in Cambridge, Massachusetts, but it was in the Indian language of Algonquin. Queen Elizabeth I, in 1589, had granted Christopher Barker the title of Royal Printer. He had the exclusive "perpetual royal privilege" to print Bibles in England. 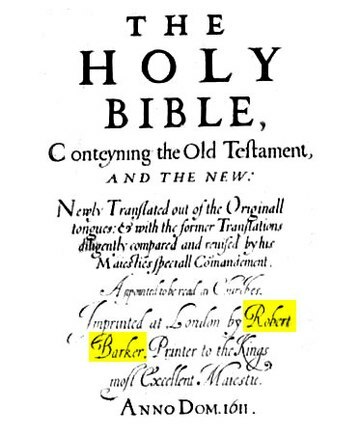 His son, Robert Barker, assumed the position of the King's Printer with the sole permission to print the King James "Authorized Version." 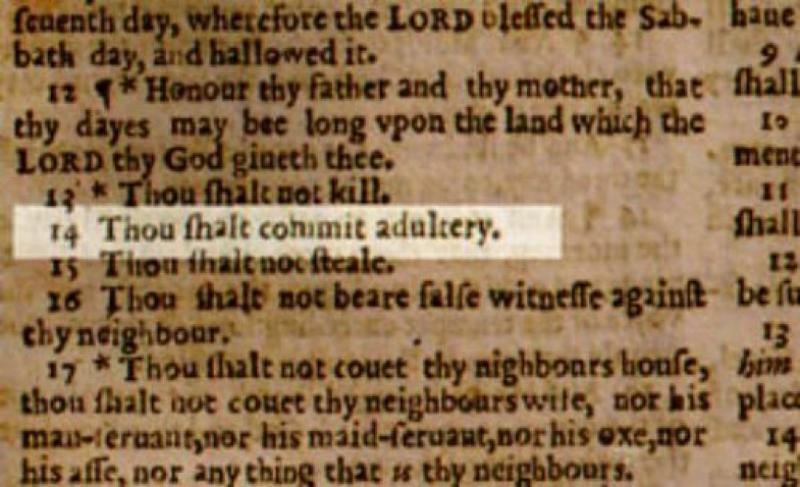 Unfortunately for him, Robert Barker did not adequately proof his 1631 edition, resulting in the word "not" being left out of the commandment "Thou shalt not commit adultery." It became known as "The Wicked Bible." Printing of it was immediately stopped and Robert Barker was thrown into prison. 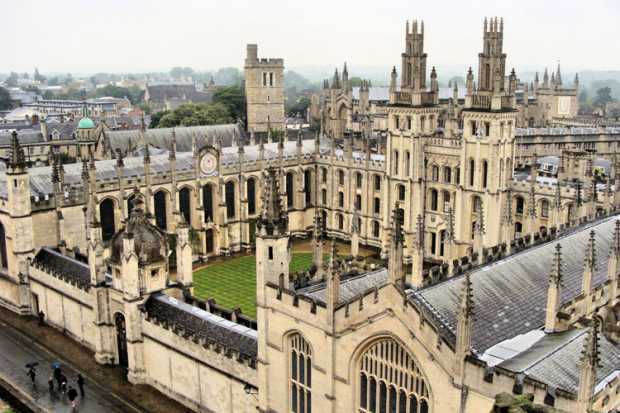 By 1629, Oxford University and Cambridge University had acquired royal licenses to print revised editions of the Bible, and in 1633, so did a printer in Scotland. 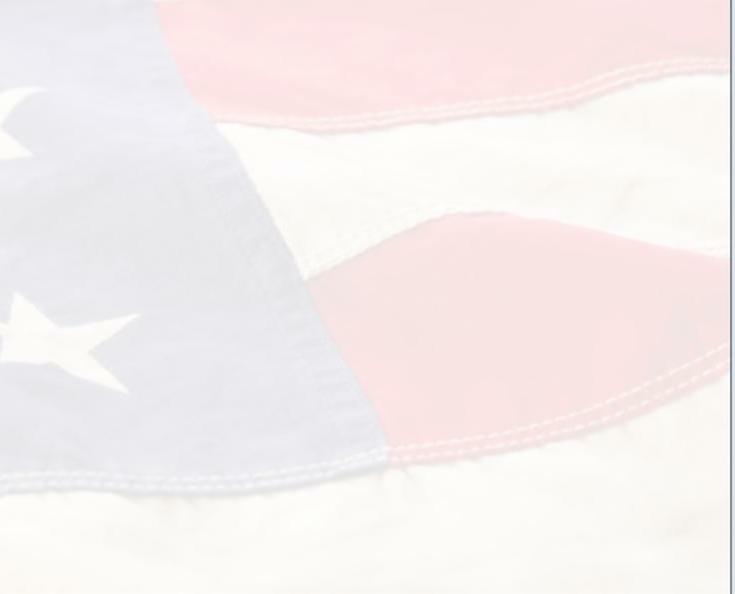 The Revolutionary War interrupted trade between the American colonies and the King's "authorized printers" in Britain. 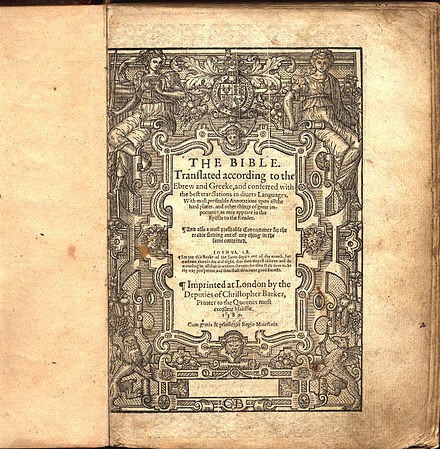 This caused a shortage in America of the King James Authorized Version of the Bible, which was used extensively by clergy, courts of justice and in education. 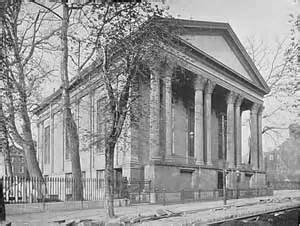 "To the honorable Continental Congress of the United States of North America now sitting in Philadelphia. humbly requesting that under your care, and by your encouragement, a copy of the Holy Bible may be printed, so as to be sold nearly as cheap as the common Bibles, formerly imported from Britain and Ireland, were sold. Our sincere prayers shall ever be for your welfare and prosperity, and we beg leave with the greatest respect to subscribe our selves. 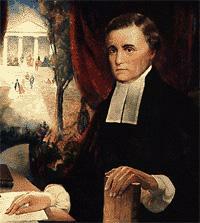 -William Marshalle (Scots Presbyterian Church, Associcate Presbytery of Pennsylvania)." 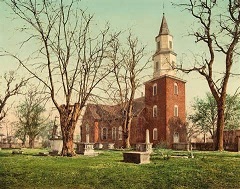 The Chaplain of Congress, Patrick Allison, Pastor of Philadelphia's First Presbyterian Church, brought the issue to the attention of the Continental Congress, which referred it to a Committee composed of John Adams, Daniel Roberdeau and Jonathan Bayard Smith. 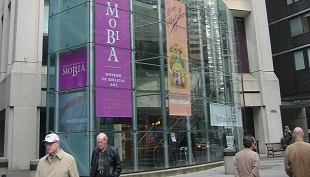 "... conferred fully with the printers, etc., in this city and are of the opinion, that the proper types for printing the Bible are not to be had in this country, and that the paper cannot be procured, but with such difficulties and subject to such casualties as render any dependence on it altogether improper ..."
The Committee recommends that Congress will order the Committee of Commerce to import 20,000 Bibles from Holland, Scotland, or elsewhere, into the different parts of the States of the Union. 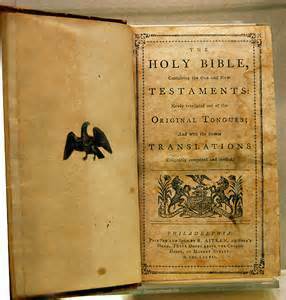 Whereupon it was resolved accordingly to direct said Committee of Commerce to import 20,000 copies of the Bible." 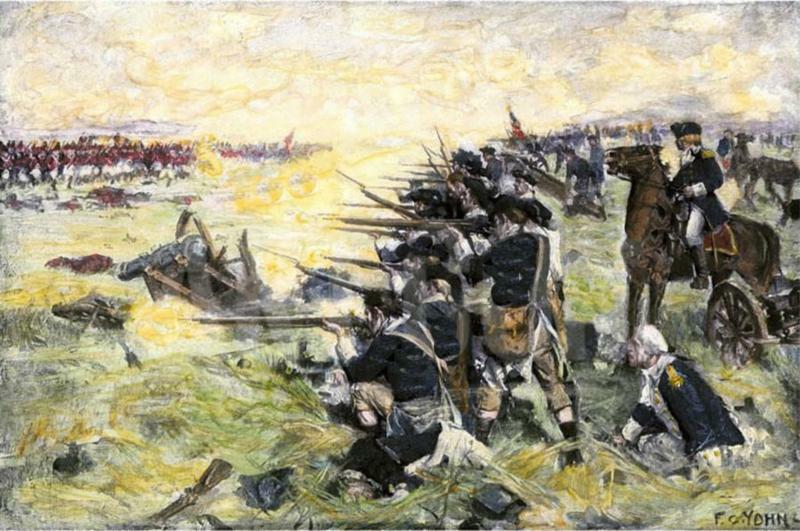 That same day, September 11, 1777, Washington's troops lost the Battle of Brandywine, retreating eventually to Valley Forge, and British General John Burgoyne's troops were marching down from Canada. 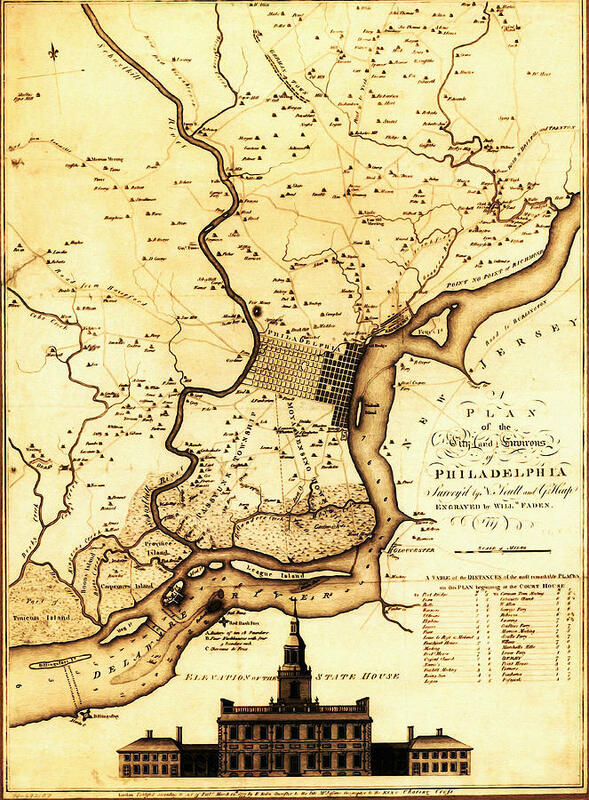 In a panic, the Continental Congress evacuated Philadelphia before action could be taken on the Bible resolution, fleeing to the City of Lancaster, then to York, Pennsylvania. 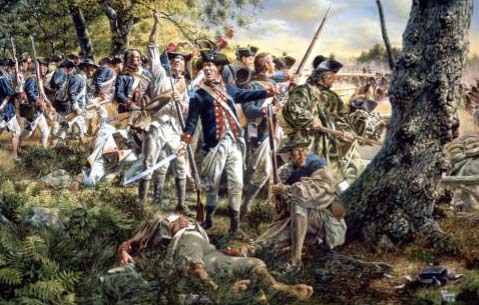 On September 26, 1777, British General William Howe occupied Philadelphia. 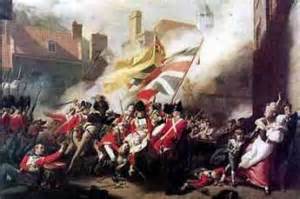 Howe expected this would end the war, as the tradition in European warfare was that when a country's capital was captured they would surrender. 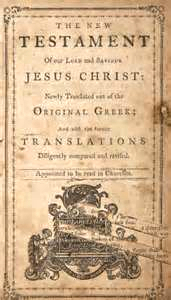 "Resolved: That it be recommended to such of the States who may think it convenient for them that they take proper measures to procure one or more new and correct editions of the Old and New Testament to be printed and that such states regulate their printers by law so as to secure effectually the said books from being misprinted." That in every well regulated Government in Christendom, The Sacred Books of the Old and New Testament, commonly called the Holy Bible, are printed and published under the Authority of the Sovereign Powers, in order to prevent the fatal confusion that would arise, and the alarming Injuries the Christian Faith might suffer from the spurious and erroneous editions of Divine Revelation ..."
"That your Memorialist has no doubt but this work is an object worthy the attention of the Congress of the United States of America, who will not neglect spiritual security, while they are virtuously contending for temporal blessings. humbly prays that your Honors would take this important matter into serious consideration & would be pleased to appoint one Member or Members of your Honorable Body to inspect his work so that the same may be published under the Authority of Congress. 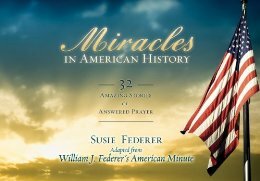 ... And further, your Memorialist prays, that he may be commissioned or otherwise appointed & authorized to print and vend editions of, the Sacred Scriptures, in such manner and form as may best suit the wants and demands of the good people of these States, provided the same be in all things perfectly consonant to the Scriptures as heretofore Established and received amongst us." 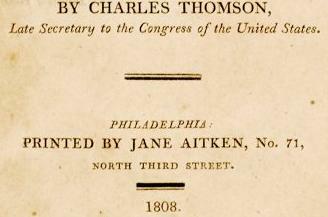 Robert Aitken, a Scottish immigrant, printed The Pennsylvania Magazine, which had 600 subscribers, with Thomas Paine as editor. 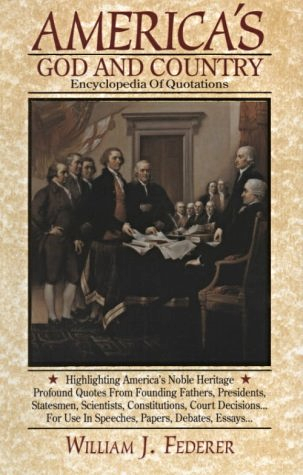 In January of 1776, Robert Aiken began printing the Journals of the Continental Congress. In early September, 1782, Robert Aitken sent a message to Congress informing them he had nearly completed his Bible, "accomplished in the midst of the Confusion and Distresses of War." 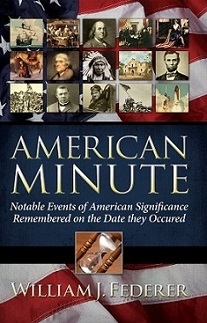 ... 'Philadelphia, 1st September, 1782. OUR knowledge of your piety and public spirit leads us without apology to recommend to your particular attention the edition of the Holy Scriptures publishing by Mr. Aitken. He undertook this expensive work at a time when, from the circumstances of the war, an English edition of the Bible could not be imported, nor any opinion formed how long the obstruction might continue. On this account particularly he deserves applause and encouragement. We therefore wish you, Reverend Gentlemen, to examine the execution of the work, and if approved, to give it the sanction of your judgment, and the weight of your recommendation. We are, with very great respect, Your most obedient humble servants. 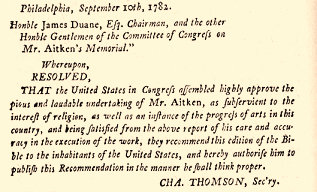 (Sign'd) JAMES DUANE, Chairman in behalf of a Committee of Congress on Mr. Aitken's Memorial.'" and Rev. William White, rector of Christ Church, who helped organize the Protestant Episcopal Church in America and was the first president of the Bible Society of Philadelphia -- the first Bible Society in the United States. Chaplains of the United States in Congress assembled. AGREEABLY to your desire we have paid attention to Mr. Robert Aitken's impression of the Holy Scriptures of the Old and New Testament. 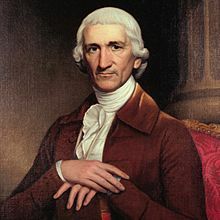 Having selected and examined a variety of passages throughout the work, we are of opinion that it is executed with great accuracy as to the sense, and with as few grammatical and typographical errors as could be expected in an undertaking of such magnitude. 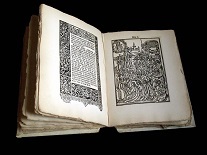 Being ourselves witnesses of the demand of this invaluable book, we rejoice in this present prospect of a supply; hoping that it will prove as advantageous as it is honorable to the Gentleman, who has exerted himself to furnish it, at the evident risque of private fortune. (Sign'd) William White, George Duffield. 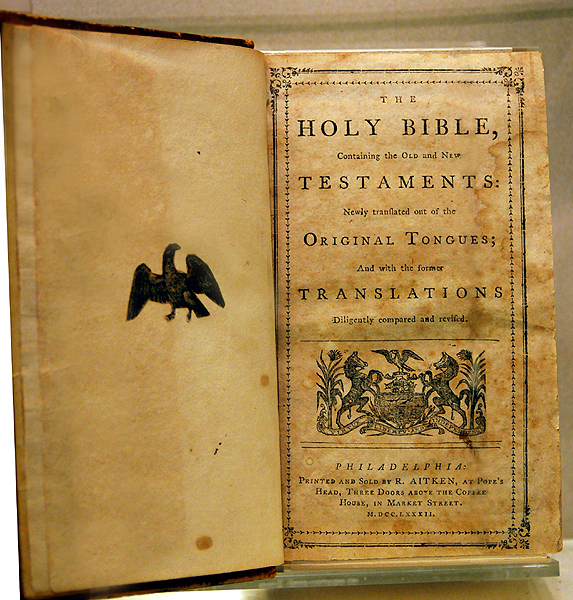 On September 12, 1782, C ongress approved of Robert Aitken's printing of the Bible. Honble James Duane, Esq. Chairman, and the other Honble Gentlemen of the Committee of Congress on Mr. Aitken's Memorial. they recommend this edition of the Bible to the inhabitants of the United States, and hereby authorize him to publish this Recommendation in the manner he shall think Proper. Robert Aitkens' "Bible of the Revolution" is one of the rarest books. 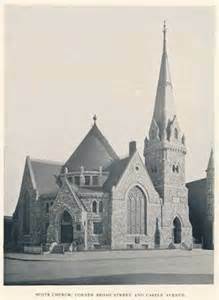 In 1940, the Rev. Edwin A.R. 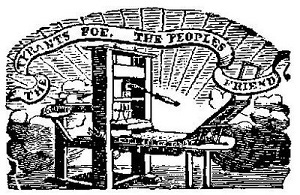 Rumball-Petre located 28 copies of the "Bible of the Revolution" in institutions in America and abroad, and 22 in private collections. 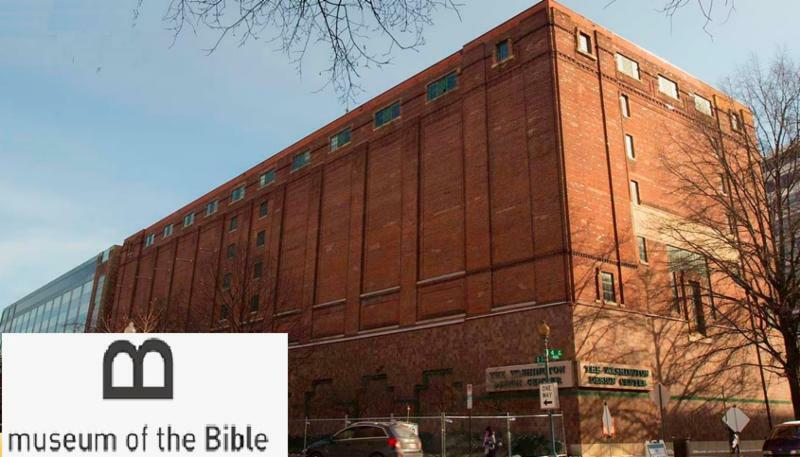 Hobby Lobby's Green Family, who established the Museum of the Bible in Washington, D.C. to display The Green Collection -- the world's largest private collection of rare biblical texts and artifacts. 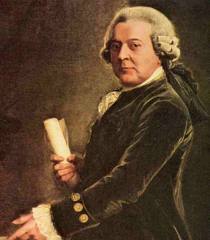 Congress' endorsement of Robert Aitken's Bible was signed by the Secretary of Congress Charles Thomson, who had also signed the Declaration of Independence with John Hancock on July 4, 1776. 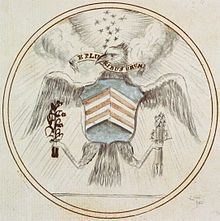 Charles Thomson, with William Barton, designed the Great Seal of the United States. 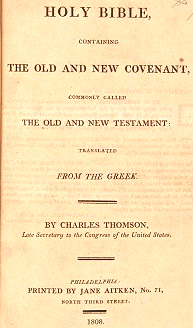 When Charles Thomson retired from Congress, he spent 19 years researching and writing his "Thomson Bible," a four-volume work containing the first American translation of the Greek Septuagint. 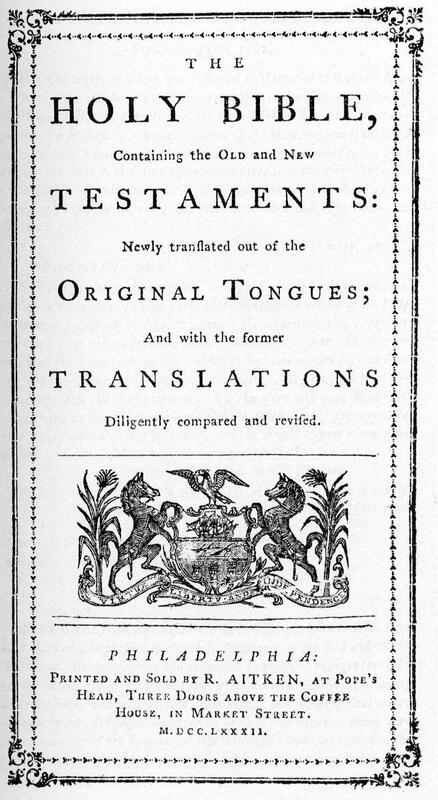 Charles Thomson's Bible was printed in 1808 by Jane Aitken, the daughter of Robert Aitken, who had taken over her father's printing business when he died on JULY 15, 1802. This made America's Jane Aitken the first woman ever to print the Bible.